Itâ€™s been way too long since the last Tattle Tales record, but all the hallmarks of their signature power-pop sound are here â€“ zippy synth riffs, harmony background vocals, scintillating melodies. Feeling bad hasnâ€™t felt this good since the Archies. 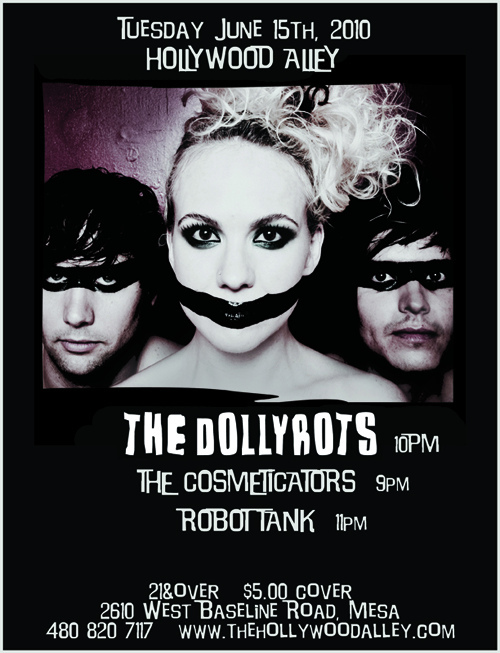 The Dollyrots are one girl and two boys. Theyâ€™re a punk rock band but their CDs are very pop. They are on Blackheart Records. William LeadPistol sound like a live practice with a hint of progress. 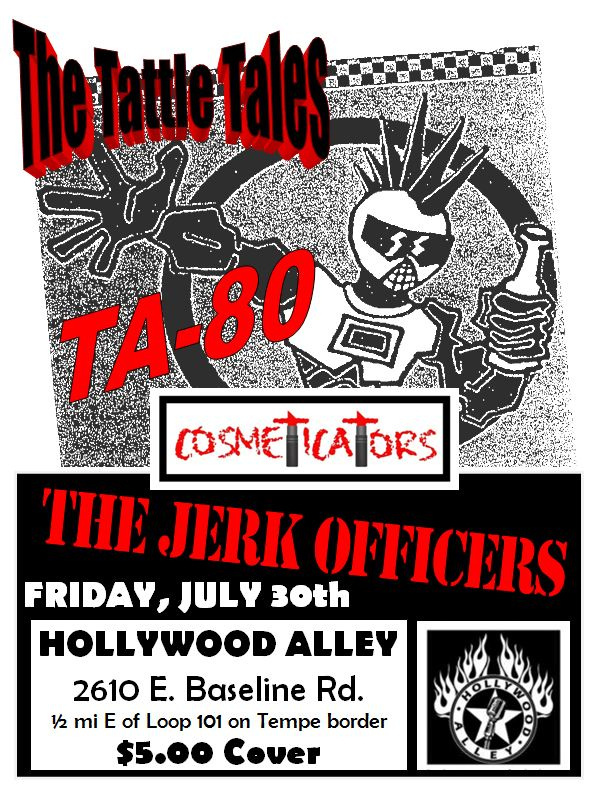 The Cosmeticators are Chela, Dee, and Amy. 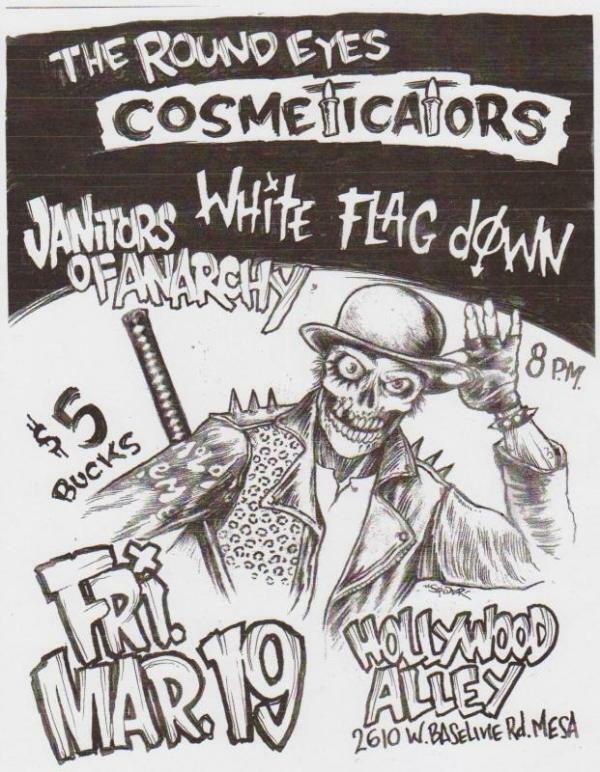 Their myspace page turns your cursor into lipstick. 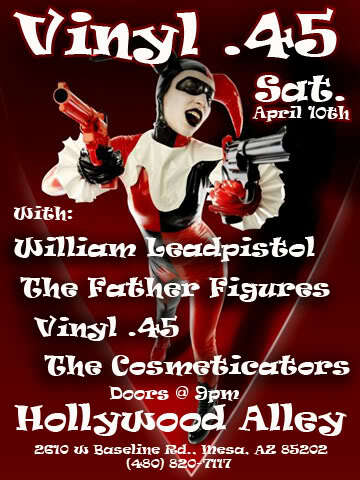 Miss Derringer is a Los Angeles based rock band fronted by singer and underground artist Elizabeth McGrath and her husband/songwriter Morgan Slade. Rounding out the band's lineup are Sylvain de Muizon (bass), Cody James (drums) and Ben Shields (lead guitar). Miss Derringer is heavily influenced by American music of the late 50s and early 60s - particularly the vintage sounds of outlaw country, early 60s girl group pop. The band's lyrics deal with "honkytonk" subjects like prison, poverty, sobriety, God, death, marriage, murder, and alcohol. 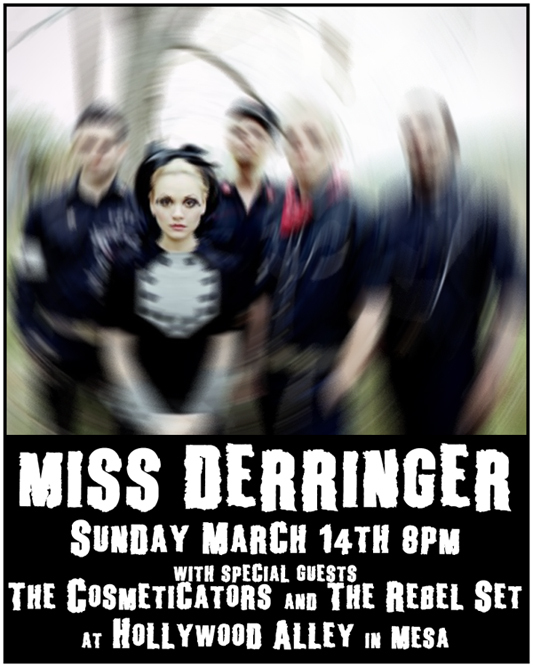 Miss Derringer has opened up for several notable acts including Bad Religion, Blondie, John Doe,IAMX and Tiger Army. Miss Derringer has released two albums with Sympathy for the Record Industry. The first King James, Crown Royal, and a Colt 45 was released in 2004. Their second album Lullabies includes guest musicians such as drummer Clem Burke from Blondie and was co-produced by Derek O'Brien of Social Distortion and The Adolescents. In 2008 the band signed a "strategic partnership" marketing deal with noted Advertising Agency Deutsch Inc. In late 2008 Miss Derringer was selected by Morgans Hotel Group as one several bands to participate in their "Recess is on" campaign, and was filmed performing a live version of their song "better Run Away From Me" at the Mondrian Hotel in Ls Angeles.